Q: My bearded iris didn’t bloom well this year. I suspect they are overcrowded. Will dividing them help and, if so, how and when should I do it? A: Bearded iris (Iris germanica) are hardy, low-maintenance, spectacular-blooming, spring perennials that perform best in sunny gardens with light, loamy soil with a pH of 6 to 7. 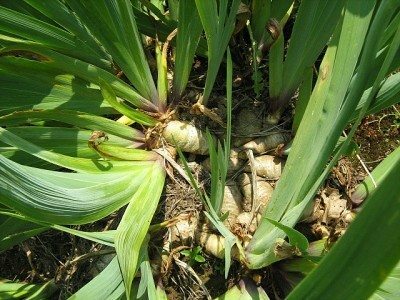 Erv Evans, NCSU Extension Associate, notes that in addition to overcrowding, “planting in excessive shade, using excessive nitrogen fertilizer, or planting the rhizomes too deep” may be responsible for poor flowering in bearded iris. 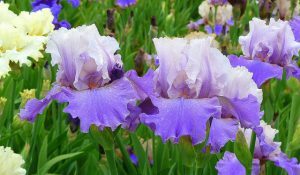 Whether or not you are dividing the iris, cut the bloom stems off about two inches above the rhizome after the blooms fade. This prevents seed formation and promotes better blooms next season. Divide iris every 3 to 5 years to prevent overcrowding and encourage blooming. The good news is that irises are easy to divide! Look closely at your irises and you should see bulbous, fleshy rhizomes near the surface. These form a network that stores food produced by the leaves. Each year underground offsets develop from the original rhizome, and it is this growth pattern that can lead to overcrowding. You can divide iris at any time of the year, but the recommended time is 4 to 6 weeks after blooming. Identify the clumps you want to separate. Using a small shovel or a garden fork, loosen the soil around the perimeter, carefully lift each clump, shake off as much soil as possible, and then hose off the roots. Using a garden knife, cut off sections from the original rhizome. Check to make sure each division has white roots (a sign of good health), a minimum of one healthy leaf fan, and no evidence of borers or disease. 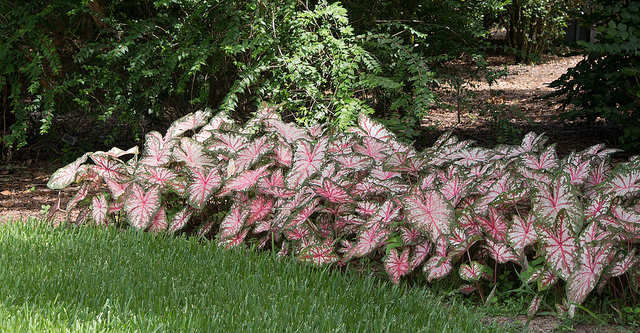 Trim back broken roots and cut the leaves into a fan shape, leaving about one-third foliage on each division. Be sure to discard remaining pieces of rhizome, roots, and leaves. Choose a garden spot for the divided rhizomes and prepare shallow holes. In the center of each hole, make a mound of soil that is high enough to keep the new clump slightly above soil level. Evans suggests spreading the roots around the mound before filling with soil and watering. Replant the rhizomes at or slightly below the soil surface so that feeder roots can penetrate the soil below. For massed bloom, plant at least three rhizomes, 8 to 10 inches apart. Bearded iris don’t require much attention, but to look their best, remove yellowing or diseased foliage. These plants need nitrogen, potash, and phosphorus in moderation. In the absence of a soil test, Evans recommends incorporating a ½ pound of low nitrogen fertilizer (such as 5-10-10) per 50 sq. ft. This question is one of many received and answered by Master Gardener volunteers on the Buncombe County Garden Helpline. Got a gardening question? We’ve got answers! Give us a call at 828-255-5522. Article written by Janet Moore, Extension Master GardenerSM Volunteer. How to grow impressive iris and avoid common problems such as bacterial soft rot, crown rot fungus, leaf spot, mosaic, and iris borer. 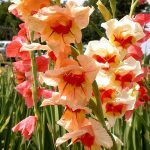 A comprehensive list of iris varieties. 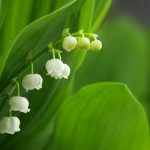 Planning to plant spring-flowering bulbs provides gardeners a welcome hint of another season with all its beauty and freshness when most of the garden is spent and tired-looking. From late August through October, garden centers start selling spring bulbs—crocus, daffodils, hyacinths, tulips, and more! Spring-flowering bulbs fill the garden. 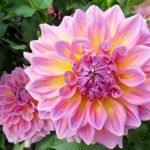 Bulbs are often the easiest flowers to grow, and some choices will reward your initial investment for years with color, scent, and blossoms. 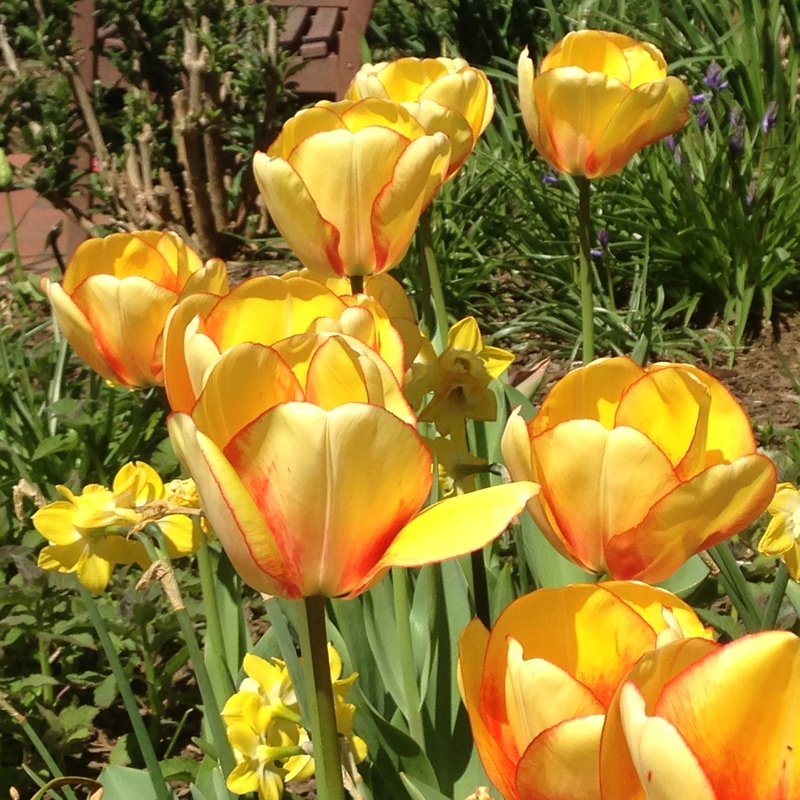 Once properly planted, bulbs need minimal care. 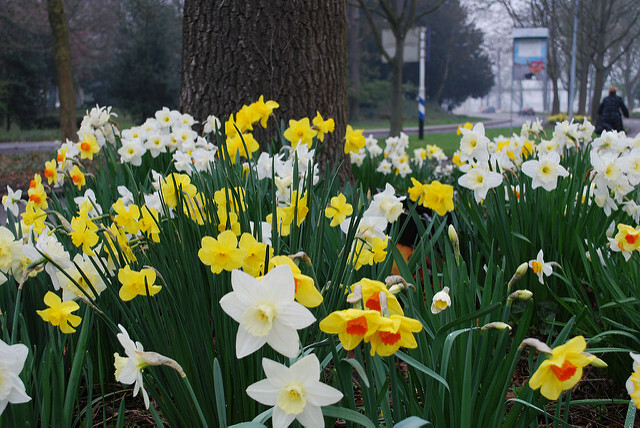 Some, such as daffodils (Narcissus), will naturalize and provide an expanding color display. 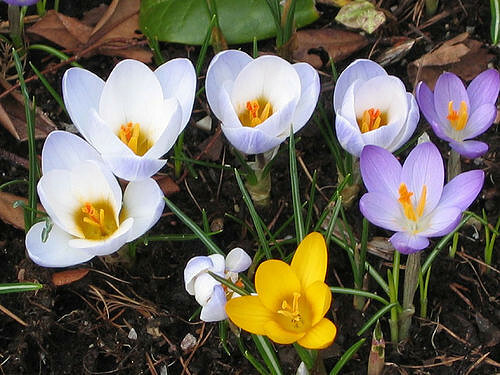 Plant spring-flowering bulbs, such as crocus, daffodils, hyacinths, and tulips, in the fall before the ground freezes. 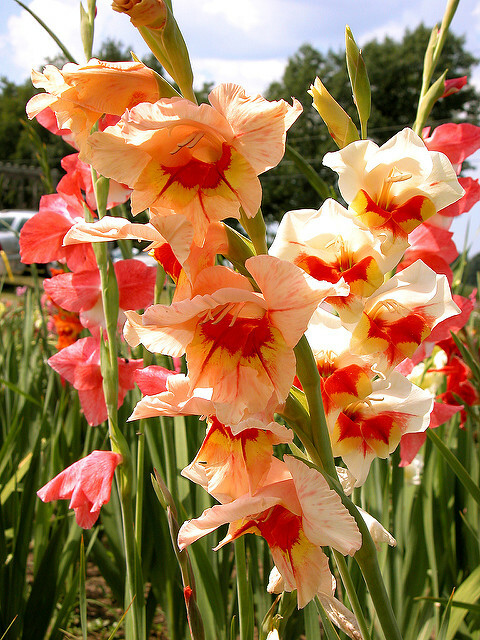 Most of these bulbs require a 12- to 16-week period of chilling to produce flowers and before breaking dormancy. Planting dates for Zone 6 are no earlier than October; for Zone 7, it is November through early December. 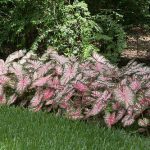 Purchase summer/fall-flowering bulbs, such as caladiums, cannas, dahlias, gladioli, and lilies, in the spring and plant after danger of late frost, when the soil temperature is above 55-60ºF or they may rot before sprouting. 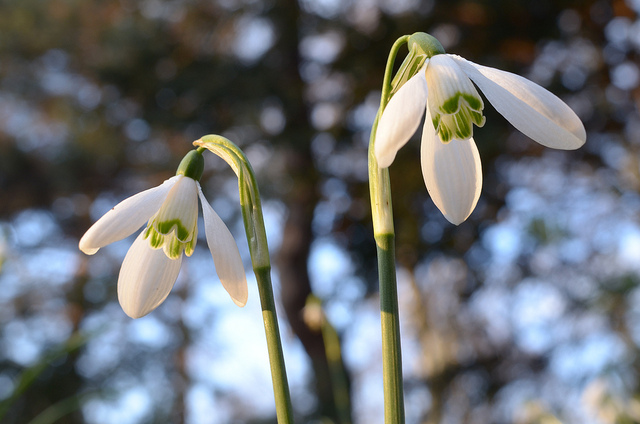 Unlike spring-flowering bulbs, chilling or a prolonged cold period will damage or even kill them. Look for the largest bulbs available. Choose those that are firm and have no mold or obvious bruising. 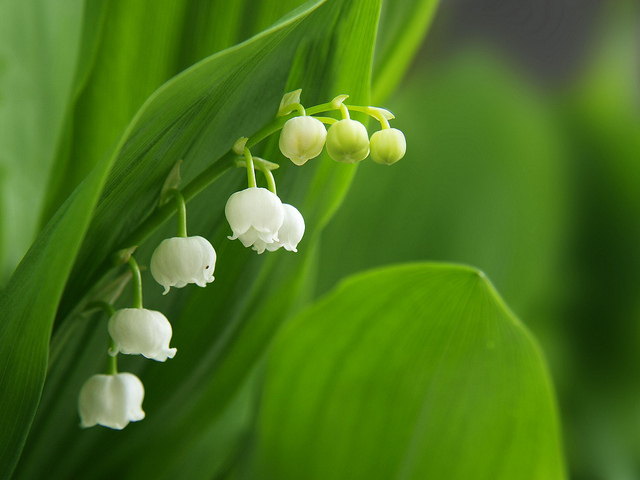 Store the bulbs until planting in a cool, dry area away from fruits—which produce ethylene gas that prevents blooming and may cause flower abnormalities. Plant bulbs in a partial- to full-sun area. 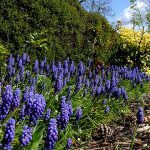 Because much of their growth is completed before deciduous trees and shrubs leaf out, bulbs can be planted underneath to lovely effect. Plant in sweeping groups instead of singly or in rows. If space is limited, you can plant bulbs in containers or window boxes. As with any planting, proper soil preparation is important and good drainage is essential. Getting the soil right is probably the most important step to ensure gardening success. Bulbs do best in soil with a pH of 6 to 7. Fertilize and lime according to a soil test. 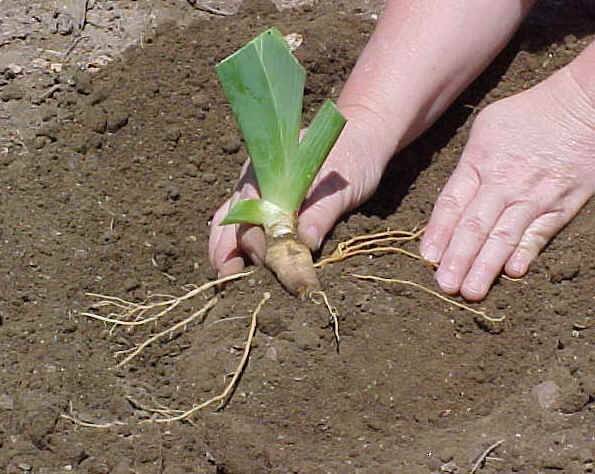 Plant bulbs with their root plate facing down and the nose of the bulb facing upward. Planting depth is important, too. 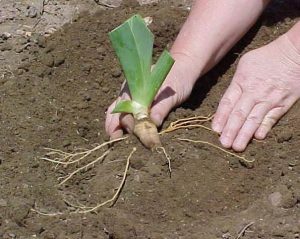 As a general rule, plant bulbs at a depth of 3 times the bulb’s width. Tulips and narcissus will typically need to be planted 8-inches deep; smaller bulbs such as snowdrops and crocus about 3- to 4-inches deep. 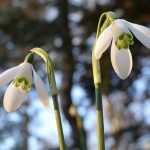 Plant snowdrops immediately, but wait to plant daffodils until October or November. 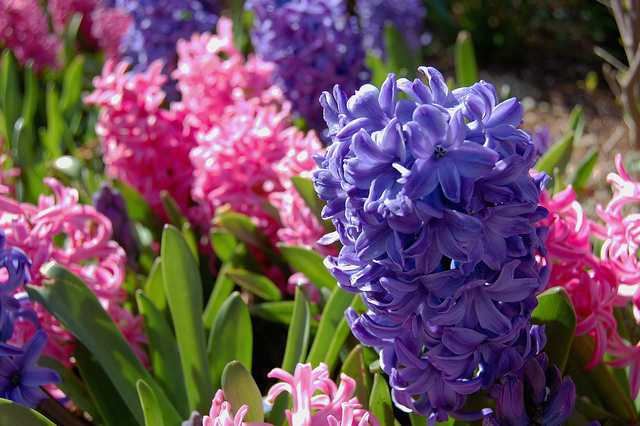 Keep other spring-flowering bulbs until the soil temperature at the planting depth is below 60ºF. Cover the bulb with soil, then water to settle the soil and provide moisture to encourage rooting. Rain usually provides enough moisture for spring-flowering bulbs, but additional watering may prolong bloom during a hot or dry spring. Mulching with organic matter, such as pine bark or shredded leaves, helps maintain moisture and an even temperature, as well as enriching the soil. Narcissus and allium are generally safe from the appetites of voles, squirrels, and deer, while tulips and hyacinths are tasty treats. Using planting cages or surrounding bulbs with wire mesh helps protect them. Rabbits enjoy feeding on tulip and lily foliage. A taste repellant can be useful. After the colorful flush of spring blossoms is over and the flowers are spent, the foliage becomes unsightly as it dies back. Unattractive as it is, resist the urge to remove foliage until it has yellowed, withered, and comes up easily with a gentle tug. It is important to the health of the plant and its flowering. Through photosynthesis, the foliage manufactures nutrients that the bulb will store for the following year. Plant bulbs among groundcovers or perennials, such as hostas and daylilies. Daffodils reliably return year after year in Western North Carolina, with some varieties eagerly naturalizing. 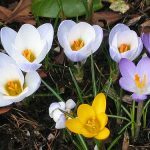 Crocus, grape hyacinth, lily-of-the-valley, and snowdrops also perform reliably. 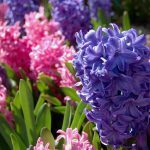 Many varieties of tulips and hyacinths are treated as annuals in the South as they decline after their first glorious year. 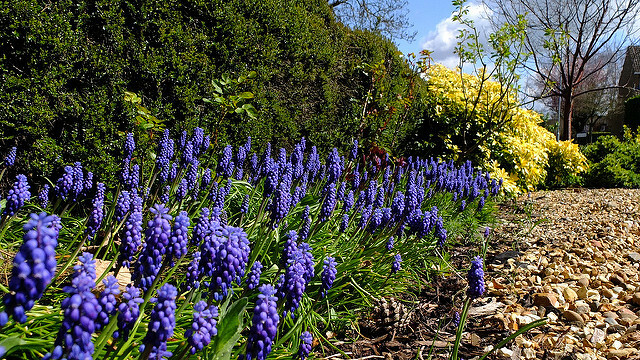 Spring-flowering bulbs need little care after planting. 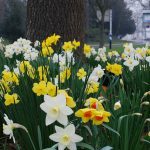 After about 5 years, daffodils can decline, with a decrease in flower size and vigor, and uneven bloom and plant height. You can often prevent this by regularly fertilizing according to a soil test. If your planting becomes too shaded or there is too much competition from other plants, dig the bulbs and relocate them. Dig them after the foliage has died back, but before removing it—otherwise it is easy to forget exactly where they are planted! Most summer-flowering bulbs need plenty of water while actively growing and well-drained soil. 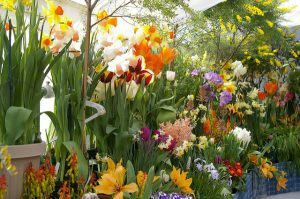 Some bulbs, such as gladioli, lilies, and calla lilies, can overwinter in the soil with a protective layer of mulch, depending on the severity of the winter. Others should be dug up and stored after their foliage has yellowed. 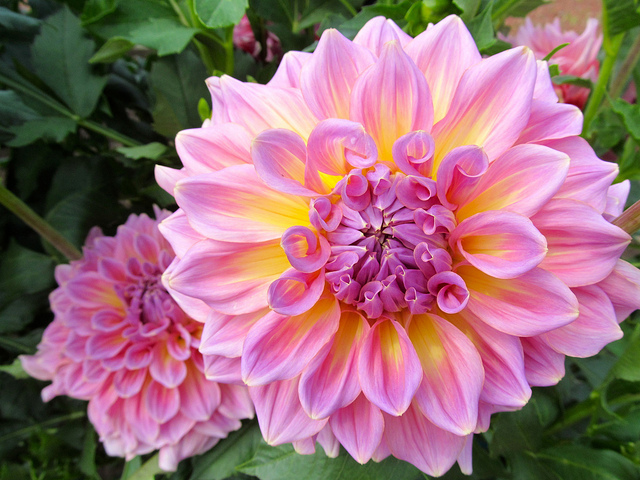 Tall, blossom-heavy flowers, such as dahlias and gladioli, may need staking with wire rings or study supports. Drive the stakes in at planting time to avoid damaging the bulbs. Cutting the blooms for indoor use will prolong and encourage more flower growth.